Optimal control problems of primal and dual evolution mixed variational inclusions, in reflexive Banach spaces, are studied. The solvability analysis of the mixed state systems is established via duality principles. 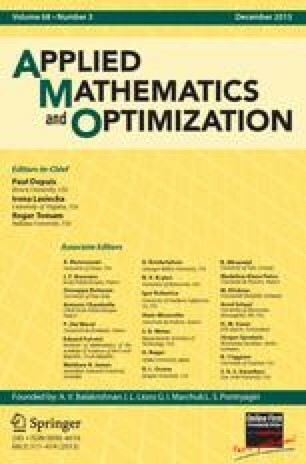 The optimality analysis is performed in terms of perturbation conjugate duality methods, and proximation penalty-duality algorithms to mixed optimality conditions are further presented. Applications to nonlinear diffusion constrained problems as well as quasistatic elastoviscoplastic bilateral contact problems exemplify the theory. The work reported here is part of a project partially supported by DGAPA, UNAM: PAPIIT Clave IN108411.